"Buying Customers" is an innovative breakthrough in customer acquisition, lead generation and customer service with proven strategies that consistently drive repeat business. 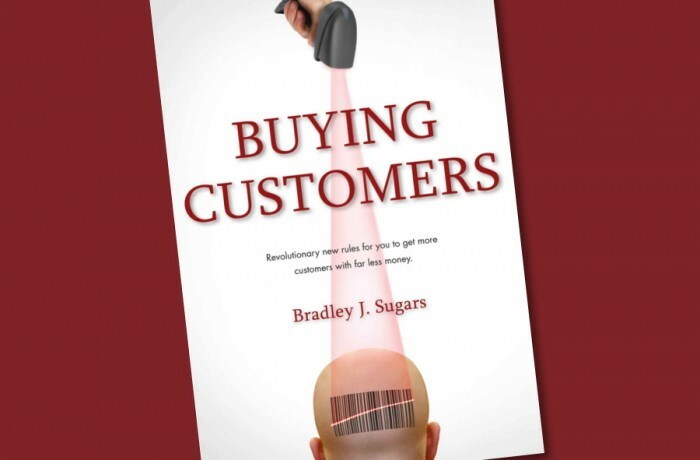 Follow ActionCOACH Founder and Chairman Brad Sugars as he outlines tested methods for "Buying Customers" in ways you can immediately understand, use and apply. In "Buying Customers" you'll discover: - The importance of your numbers and 'testing and measuring' - How to segment your customers so they truly become your bet and biggest asset - Effective strategies to grow your customer base, generate more leads and create a simple system for referrals that skyrockets any marketing investment -How to generate as many customers as your business will ever need, as easily and profitably as possible - Why lifetime value equals repeat business ... and repeat business equals profits - The importance of focusing 80% of your efforts and resources on your top 20% of your customers If you're just starting a business, or are a seasoned entrepreneur business owner or marketing professional, "Buying Customers" will give you new insight and inspiration to boost your efforts in a way that turns all of your sales and marketing investments into guaranteed results!